Thank you for choosing Dawsonville Dance! Enrollment requires a credit card and an email address. If you have any questions before enrolling, please contact us at mary@dawsonvilledance.com or 706-974-9161. Please note: this form is for DANCE enrollment only. For MUSIC enrollment, please visit the music page and book your lesson via the online calendar. Thank you! Please note : Your card will be charged an enrollment fee ($45 per student/$55 per family) and a tuition deposit based on your yearly or monthly billing preferences. Both are non-refundable. (Monthly tuition deposit will be applied to May 2019.) Your card will be charged within 1-2 business days after enrollment has been reviewed and approved by Dawsonville Dance staff. As a parent or legal guardian, I understand that it is my responsibility to personally supervise my child at all times including when they are not under the direct instruction of a teacher in a dance studio room during their class time(s). I understand that I am responsible for my child's personal safety at all times. This includes but it not limited to any and all Dawsonville Dance activities, dance classes, productions, programs, workshops, exercise classes, rehearsals, parties, private lessons, performances, field trips, or any function sponsored or otherwise associated with Dawsonville Dance on premises or off, and as such do agree to assume full responsibility for my child at any and all times. I understand I am to never leave a minor unattended by an adult while at Dawsonville Dance or Dawsonville Dance related events. I understand that I must stay on premises at all times if my child is enrolled in the DiscoverDance or Level I program. I understand that if my child is enrolled in Level II/III/IV, I may leave the premises during class time after I have made sure that my child is inside the class with their instructor. I understand that I must be waiting in the lobby area at the end of my child's class time to pick up my child. As a parent or legal guardian, I release and hold harmless Dawsonville Dance LLC, its owner and operators from any and all liability, claims, demands, and causes of action whatsoever, arising out of or related to any loss, damage, or injury, including death, that may be sustained by the participant and/or the undersigned, while in or upon the premises or any premises under the control and supervision of Dawsonville Dance, its owner and operators or in route to or from any of said premises. The undersigned gives permission to Dawsonville Dance LLC, it's owners and operators to seek medical treatment for the participant in the event they are not able to reach a parent or legal guardian. I hereby declare any physical/mental problems, restrictions, or conditions and/or declare the participant to be in good physical and mental health. 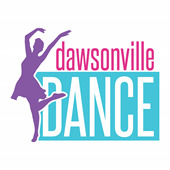 I give Dawsonville Dance LLC my permission for the public display of pictures and/or video of my child on their website, social media, and/or for advertisement purposes (i.e., any advertising purposes, online or in print). By enrolling students at Dawsonville Dance, the students and all related persons agree to follow all studio policies, standards and etiquette, outlined but not limited to the sections below. We understand that not following studio policies and etiquette is grounds for student dismissal from Dawsonville Dance programs. I understand that Dawsonville Dance offers a 30 week program over the course of the 2018/2019 school year. I understand that planned studio breaks such as Christmas Holidays are not counted in my 30 week dance year. I understand that each program is subject to minimum and maximum enrollment. In the event that a program does not meet the minimum class size, the program will be canceled and I will be presented with other options for my child. I understand that students are expected to attend all classes except for illness and other serious extenuating circumstances. I understand that make-up classes are available only for absences due to illness and other serious extenuating circumstances on the part of the student. I understand that students are permitted 6 excused absences over the course of the year, however the 6 classes prior to a show and dress rehearsal are MANDATORY in order to be permitted to participate in the show. No exceptions. I understand that students must be on time for class and that students who are more than 10 minutes late will not be allowed in class that day. I understand that as a member of a professional studio, students MUST wear a cover up (regular clothes) while going to and from the studio building. I understand that students must follow the dress code as outlined for each program. I understand that exposed midriff, cleavage and bare legs are not permitted as well as shorts with words on the backside or any other inappropriate clothing as determined by the instructor. I understand that if a student fails to follow the dress code, they will not be allowed into class until they remedy the situation. Dawsonville Dance's primary method of communication is via e-mail. I understand that all email communication will be sent to the Primary Contact Email Address that I have provided above. I agree that it is my responsibility to be informed about news and information sent out by Dawsonville Dance via e-mail and to notify Dawsonville Dance of any address or information changes. I understand that I am able to mange and update my account information at any time using my Parent Portal. I understand that students and all related persons are to treat instructors, fellow students, and the studio space with courtesy and respect at all times. I understand that NO FOOD or DRINK is allowed inside the studio building at any time (bottled water only). This includes gum, candy, snack foods, etc. I understand that offenders will be asked to leave the studio for the day and the student or associated student will not be allowed to participate in class that day. I understand that I may pay tuition in a lump annual sum or by making 9 equal monthly payments. I understand that there will not be a monthly payment charged during the month of December 2018. If I choose to make monthly payments, I may do so only by auto-draft using a credit card or bank draft, on the 1st or 15th of each month. Declined cards will be assessed a $15 fee. If payment is not received within 28 days of due date, the student will not be allowed back into class until the balance is paid in full. I understand that upon enrolling, my card will be charged an enrollment fee ($45 per student/$55 per family) and a tuition deposit based on my yearly or monthly billing preferences. Both are non-refundable. I understand that the monthly tuition deposit will be applied to May 2019. I understand that I may make payment for the Recital Package in a full lump sum upon enrolling or by making 3 equal monthly payments. If I choose to make monthly payments, I may do so only by auto-draft using a credit card or bank draft, on the 1st or 15th of each month, with my tuition monthly payment. I understand that Dawsonville Dance does not offer refunds of tuition or fees for dropped/missed classes or any other reason. I understand that withdrawal from the program requires a two week written notice prior to the next month's tuition due date. Otherwise, I will be responsible for the next month's tuition in full. I understand that if I withdrawal a student and then wish to rejoin, I will be charged a re-enrollment fee of $45 per student. I hereby declare that I am over the age of 18, that I am the parent or legal guardian of the minors listed above, and that I am typing my own full name into the text box below as my legal e signature.